Whether it be for landscape design, installation or techonolgy based services, we have made many friends here at Dayton’s over the years. Please learn more about these individuals and companies below. In business since 2004, Jeff Smith of JRS Lawn & Landscape is an ICPI certfied hardscape installer and certified in landscape design, ponds, water features and tier one low voltage lighting. Because of the quality of their work, JRS has become our main installation company. Let Jeff & his professional crew install the landscape of your dreams. Bari Barbuto, a former employee of Dayton Nursery has branched off to run his very own succesful installation company. Bari’s Landscaping LLC has been established since the Summer of 2013. Bari spent several years (2003-2006) studying horticulture and has received certification of completion with a A+ average in all fields of study at the Agricultural & Technical Institute at the Ohio State University in Wooster, Ohio. With strong enthusiasm he has learned a lot from the other professionals in the trade . Bari installs small to mid-sized softscapes for homeowners, including stone. 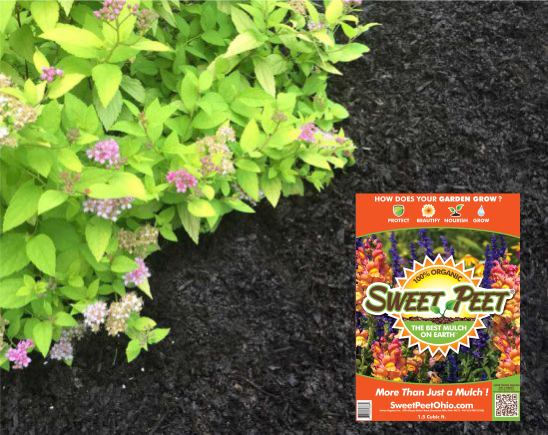 Urban Organics is a family owned Ohio business which produces Sweet Peet®. Urban Organics is dedicated to providing their customers with natural solutions to their gardening needs. They are grateful to participate in the “green movement”, but movements often become fads, so they have grounded our company’s sustainable practices in time-tested agricultural/horticultural principles. Urban Organics, Inc is the sole and licensed producer of Sweet Peet in Ohio. They strive to maintain a high level of quality and integrity in Sweet Peet and are proud of that quality and its test results. Not only are they a great news source for the Barberton and Norton areas but they are also our web hosting company.